First edition hard back green covers with gilt titles. 254 pp. 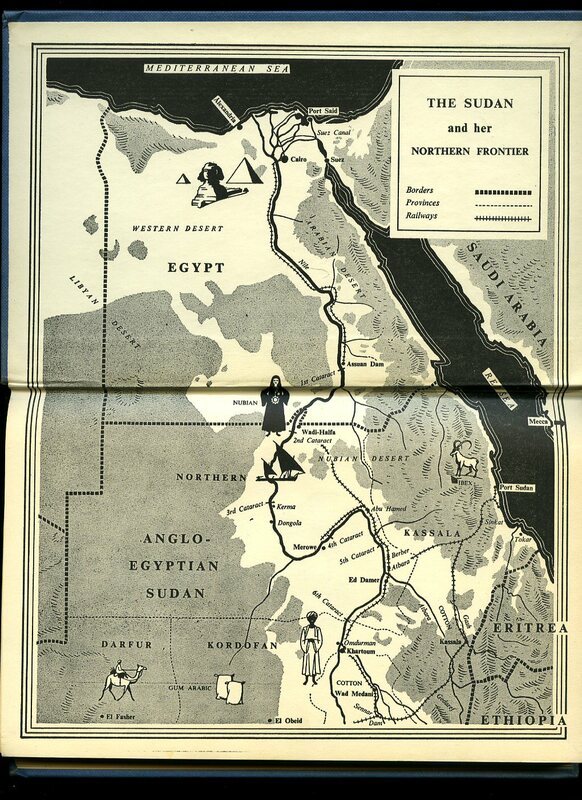 Illustrations and map. Book with small neat name to top free front end paper and in Fine condition. Dust wrapper not price clipped and in Fine condition. Member of the P.B.F.A. 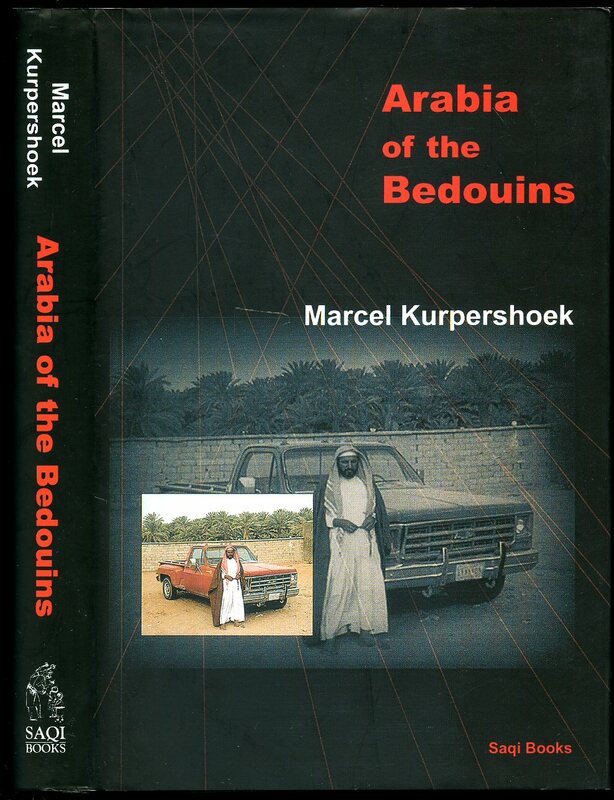 Published by Saqi Books 26 Westbourne Grove, London First Edition 2001. 2001. First edition hard back binding in publisher's original black cloth covers, gilt lettering to the spine. 8vo 9'' x 6'' 312 pages. ISBN 0863568092. Fine condition book in Fine condition dust wrapper, unused new book. Dust wrapper supplied in archive acetate film protection, this is not adhered to the book or to the dust wrapper and can easily be removed should you so wish. Member of the P.B.F.A. 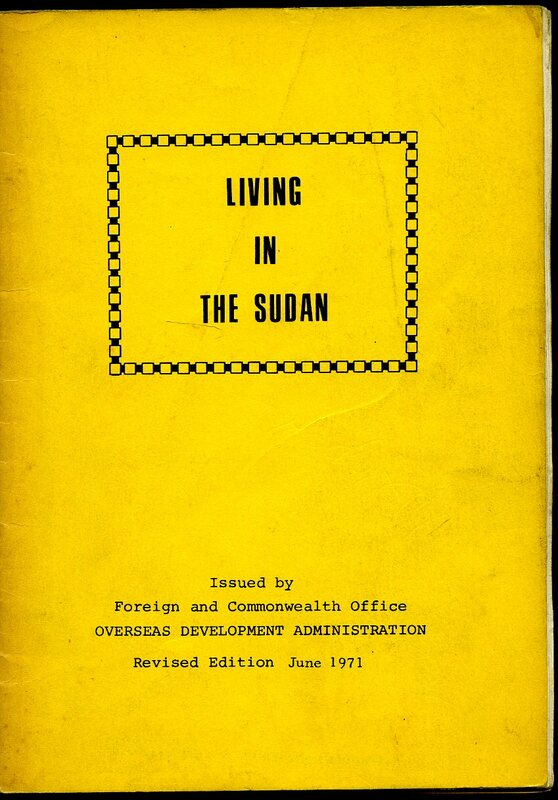 Issued by Foreign and Commonwealth Office Oversea Development Administration June 1971. 1971. Yellow stapled card wrap covers. 8vo 8½'' x 5¼'' 50 pp. 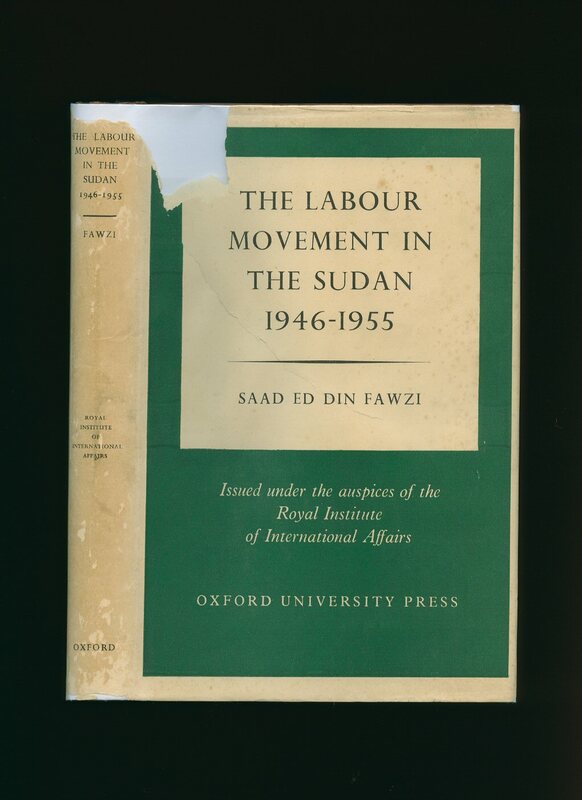 The booklet was prepared primarily for the use of officers appointed by the Foreign and Commonwealth Office to technical assistance assignments in Sudan. Couple of pen notes to the margins and in Very Good condition with light soiling to the pale yellow card covers, no dust wrapper as published. Member of the P.B.F.A. Published by The Naldrett Press, London First Edition October 1952. London 1952. First edition hard back binding in publisher's original blue cloth covers, black lettering to the spine, end paper maps. 8vo. 9'' x 6'' 136 pp. Monochrome illustrations throughout. Spine sun faded and in Very Good condition, no dust wrapper. This book is not signed by the author. Member of the P.B.F.A. 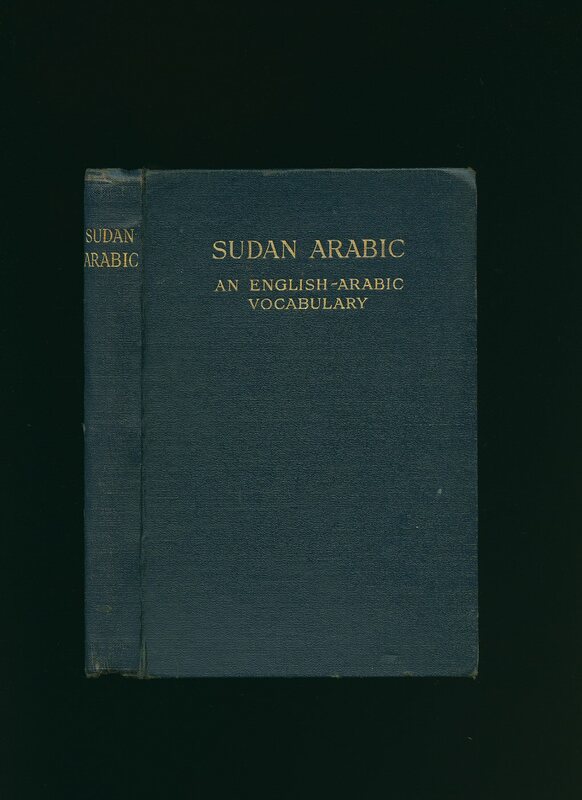 Published by The Sudan Government, Khartoum by Messrs. McCorquodale & Co. Ltd., 1948. 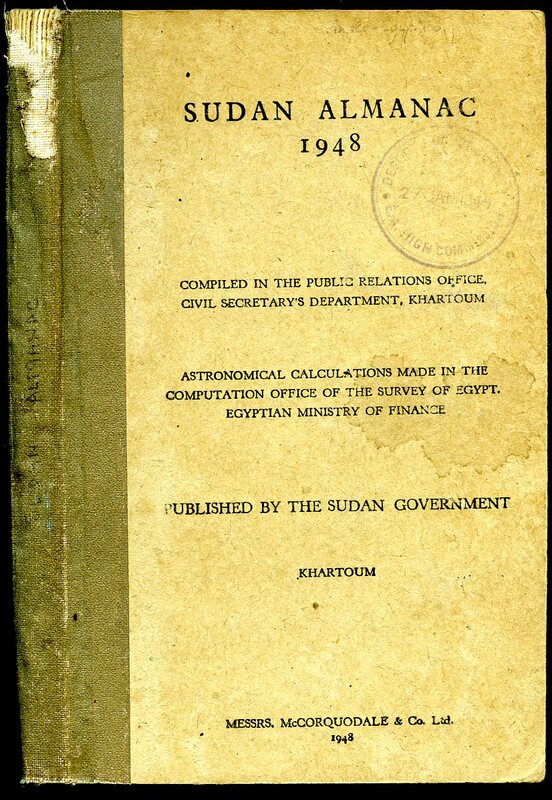 Khartoum 1948. Hard back binding in publisher's original thick card covers, faded lettering to brown cloth spine, black lettering to the upper panel. 8vo. 8'' x 5'' 171 pp. Fold-out map to the rear. High Commission stamp to the front cover and front free end paper, 30 mm piece of cloth missing to the head of the spine, no dust wrapper as published. Member of the P.B.F.A. Published by William Blackwood and Sons, London Sixteenth Edition 1898. London 1898. 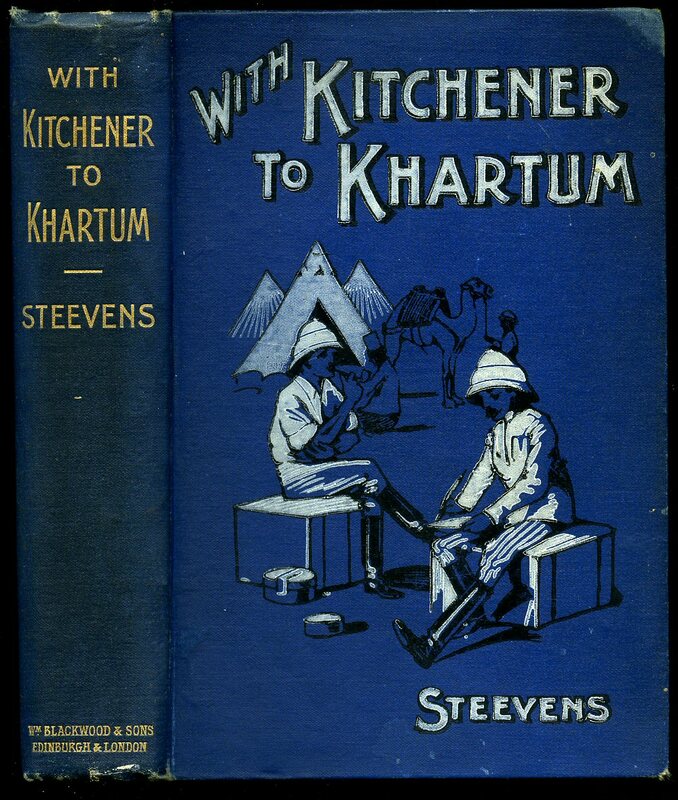 Hard back binding in publisher's original dark blue cloth covers, gilt title and author lettering to the spine, white lettering and two men to the upper panel. 8vo. 7½'' x 5¼''. Contains [xvi] 326  printed pages of text with 8 fold-out maps as called for, the first of which is torn, top two corners damaged and soft, contents clean and sound. Member of the P.B.F.A. 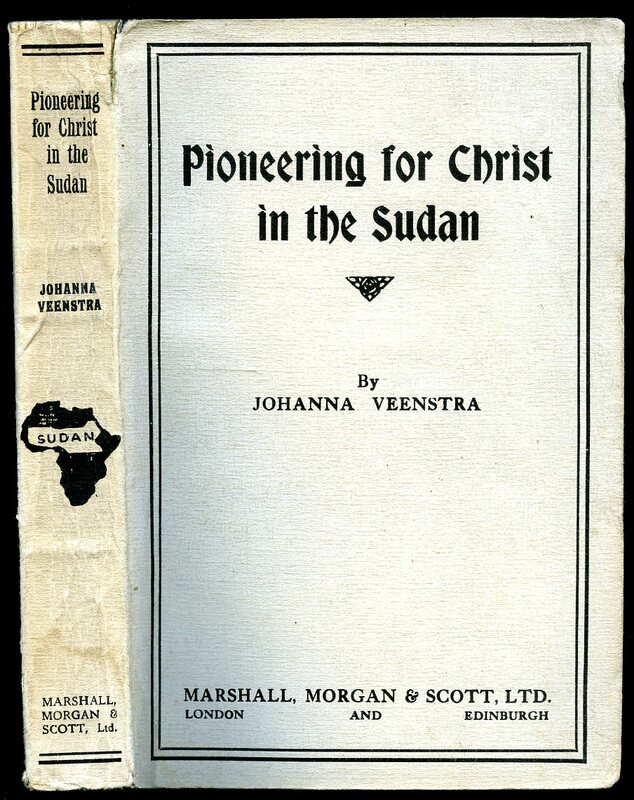 Published by Sudan Interior Mission, Upper Norwood, London 1948. London 1948. Publisher's original illustrated card wrap covers. 8vo. 7'' x 5''. Contains 87 [viii] printed pages of text with only 3 monochrome photographs. Without any ownership markings and in Good condition, no dust wrapper as published. Member of the P.B.F.A. Published by Marshall, Morgan and Scott Ltd., 33 Ludgate Hill, London First Edition 1926. London 1926. 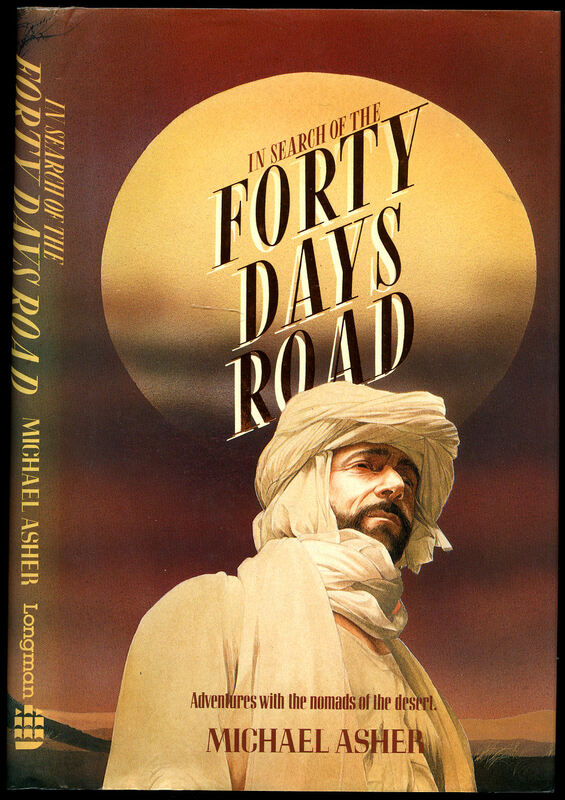 First edition in publisher's original plain grey card wrap covers. 8vo. 7'' x 5''. Contains 190 printed pages of text with monochrome photographs throughout, fold-out map. Ink ownership marking to the front free end paper, a little rippling of the card to the spine and in Very Good condition, no dust wrapper as published. Member of the P.B.F.A. 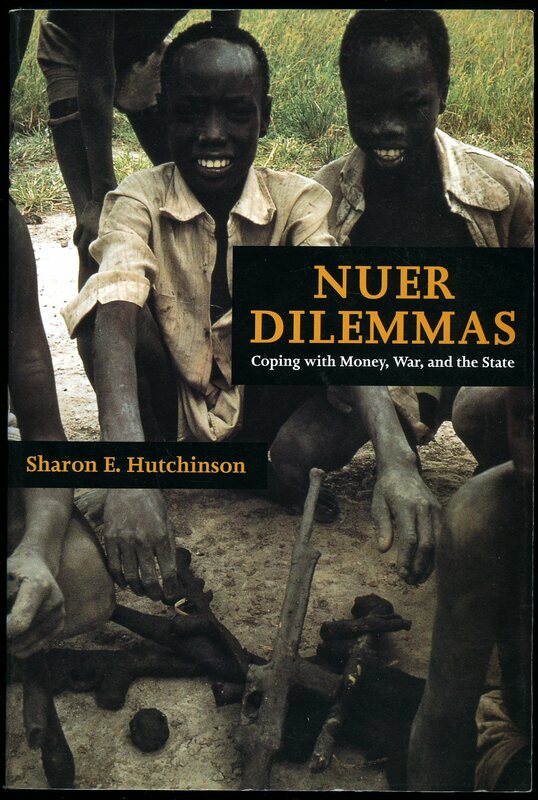 Published by University of California Press Berkeley First Edition 1996. Berkeley 1996. 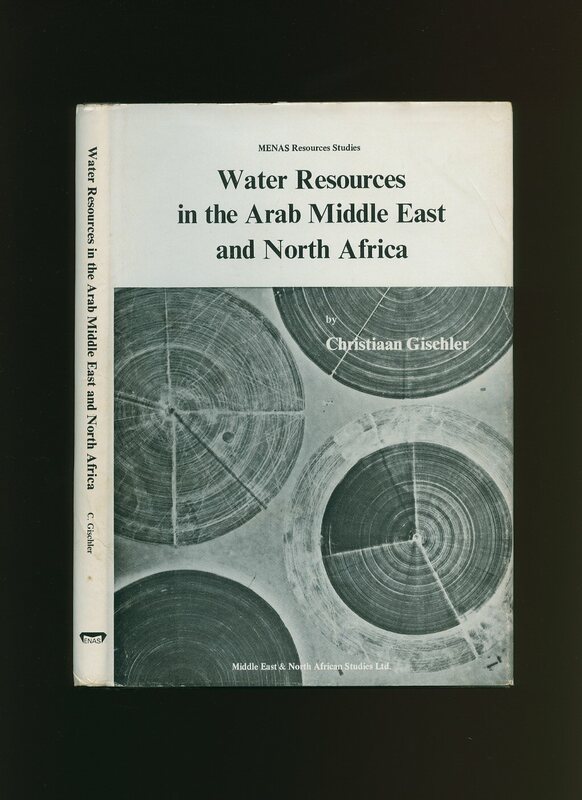 Published by Middle East & North African Studies Press Limited, Outwell, Wisbech, Cambridge First Edition 1979. Cambridge 1979. Published by Oxford University Press, Amen House, London First Edition 1955. London 1955. 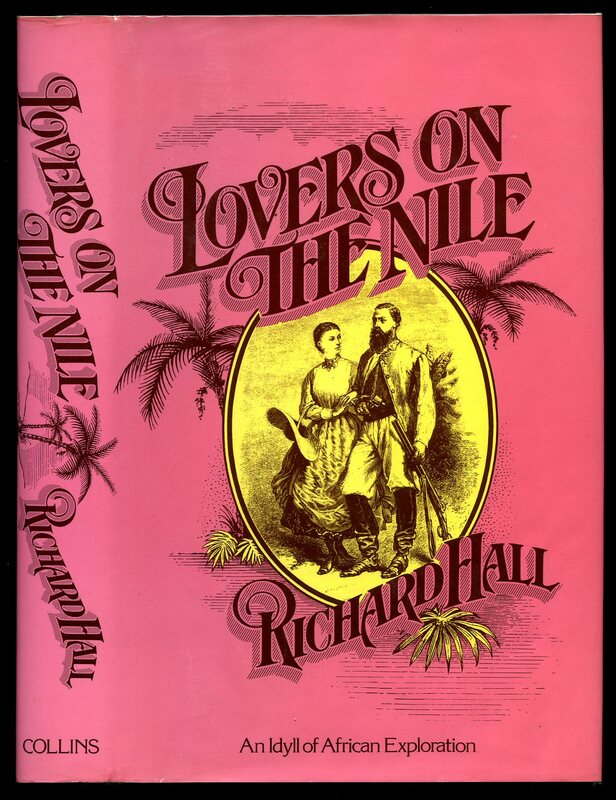 First edition hard back binding in publisher's original nut brown cloth covers, gilt title and author lettering to the spine. 8vo. 8½'' x 5½''. Contains 175 printed pages of text. Tiny rubs to the creased spine ends and corners. Very Good condition book in Good condition dust wrapper with 35 mm piece of paper missing to the upper front gutter, 100 mm closed tear to the upper panel, chips to the corners and fore edge, not price clipped 25s. 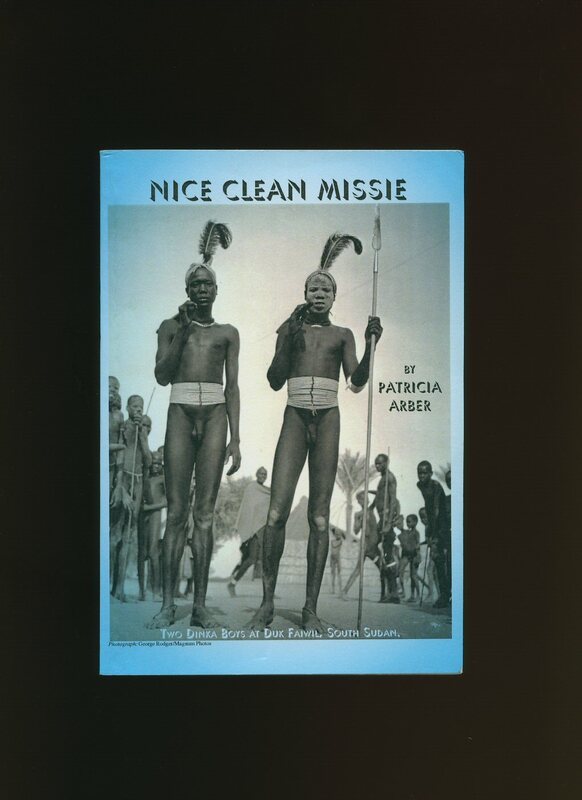 Dust wrapper supplied in archive acetate film protection, it does not adhere to the book or to the dust wrapper. Member of the P.B.F.A. 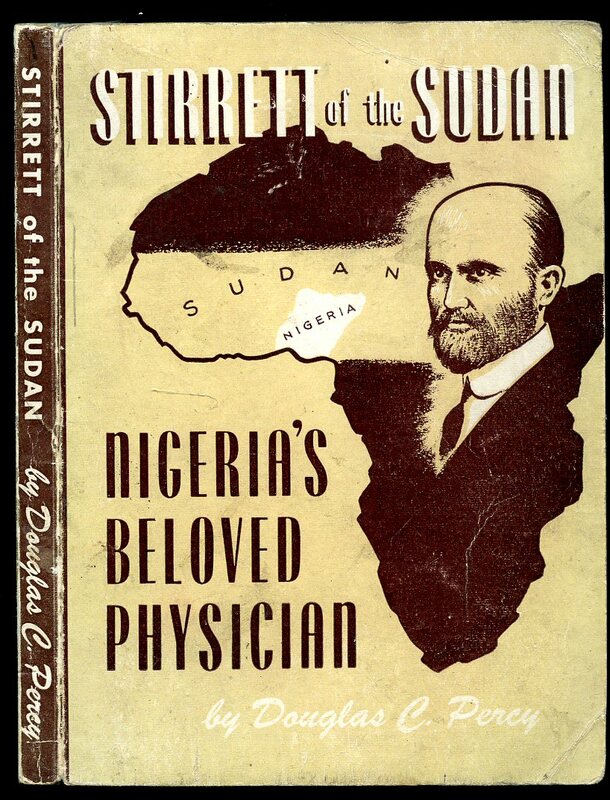 Published by The Sudan Government, London Second Edition 1930. London 1930. Hard back binding in publisher's original navy cloth covers, gilt title lettering to the spine and front cover. 8vo. 7½'' x 5¼''. Contains 351 printed pages of text. Softened spine ends, rubs to the cover edges, ink name to the front free end paper, light foxing to the closed page edges and first and last few pages and in Very Good clean condition, no dust wrapper. Member of the P.B.F.A. Published by Longman Group Ltd., Harlow, Essex First Edition 1984. 1984. Published by Twentyman Books, Keeper's Lodge, Swinbrook, Oxon, Oxford First Edition 1998. Oxford 1998. 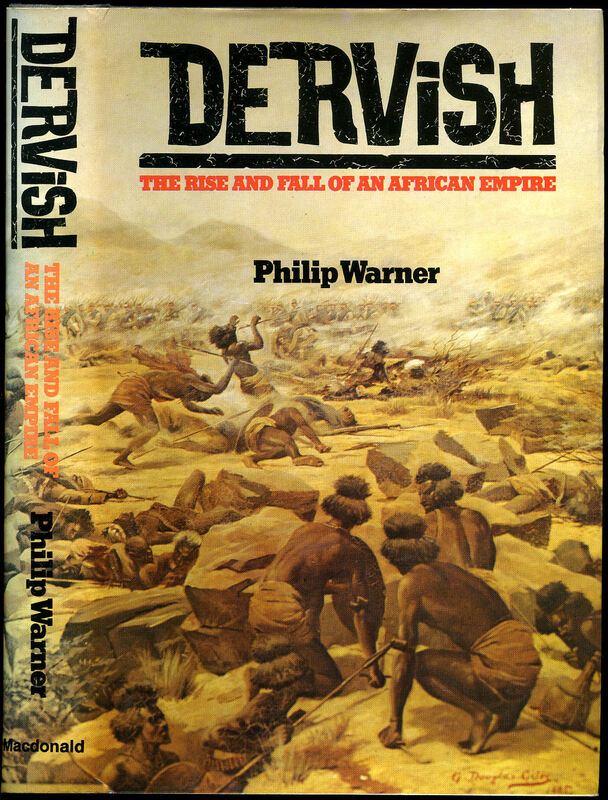 Published by Macdonald and Jane's 49 Poland Street, London First Edition 1973. 1973.